A Soft Touch, jet-black chassis is paired with a precisely regulated polycarbonate UV filtering system. The non-polarized Polaré orange filter is a high contrast absorptive tint that allows 34% visible light transmission, while blocking 100% of lightwaves up to 520 nm and all damaging UVA/UVB rays. The filter is designed to absorb 100% of blue light and HEV (High-Energy ultra-violet light) that can cause irritating eyestrain and fatigue. Second in size to the Aviator, the Pilot accommodates large prescription glasses whilst providing maximum coverage and comfort. Second in size to the Aviator, the Pilot accommodates large prescription glasses whilst providing maximum coverage and comfort. The chassis, featuring an impervious Soft Touch finish, is injection fused to our patented Flex2Fit temple system. Providing complete adjustability, Flex2Fit allows for customization of the temple position and placement, eliminating the discomfort experienced when wearing imitations. With a full undercarriage and maximum sized peripheral lenses, the framework provides 360° of protection and completely isolates the eyes from the elements. The polarized Polaré lens system eliminates harsh glare, blocks 100% of harmful UV light and is highly scratch resistant. 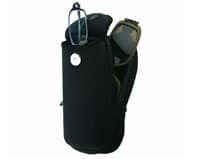 Includes our legendary Cocoons case, a lens Duracloth and the Live Eyewear lifetime warranty. Maximized contrast, sharp object clarity. By blocking 100% of blue light, the orange UV filter system eliminates scattered blue light rays to pull objects into clear focus. The orange’s rather warm and moderate light transmission properties make it popular and versatile, achieving incredibly effective object definition for both outdoor and indoor applications. It’s popular for driving and reading, and it’s effective for treating low vision ailments. Each and every aspect of Cocoons is thoughtfully designed to deliver the ultimate in performance. Regarded as the best fitovers in the world, Cocoons are engineered to completely isolate the eyes from the elements. Comfortably fitting over most prescription glasses, Cocoons are lightweight and extremely durable, a statement reiterated by the now famous lifetime warranty. Easily adjustable temples so you can create your own secure and comfortable fit. Iconic architecture continually evolving for state-of-the-art comfort and protection. Crafted from the most durable materials to handle the harshest conditions. Engineered to meet the rigorous standards of being classified an active medical device. Designed for superior optics and complete protection without the bulk. Integrated features make it the most protective fitover on the market. Quality reiterated by service, making sure you and your Cocoons are taken care of. Textured for total comfort, unrivaled durability, and a unique style. Cocoons are designed to be worn over your prescription glasses. To achieve the perfect fit, it’s important you find the size that most accurately fits over your eyewear. Measure the full width and height of your glasses at the widest points. We Guarantee the Perfect Fit. 139mm (5 1/2 inches) in width by 50mm (2 inches) in height. Our Famous Case & Duracloth Included! Every pair of Cocoons includes our world famous Cocoons case. Manufactured from the highest quality neoprene, the Cocoons case is virtually indestructible. The thick, yet surprisingly lightweight neoprene scabbard is stain resistant, maintains its form and flexibility in extreme temperatures and is exceptionally robust. 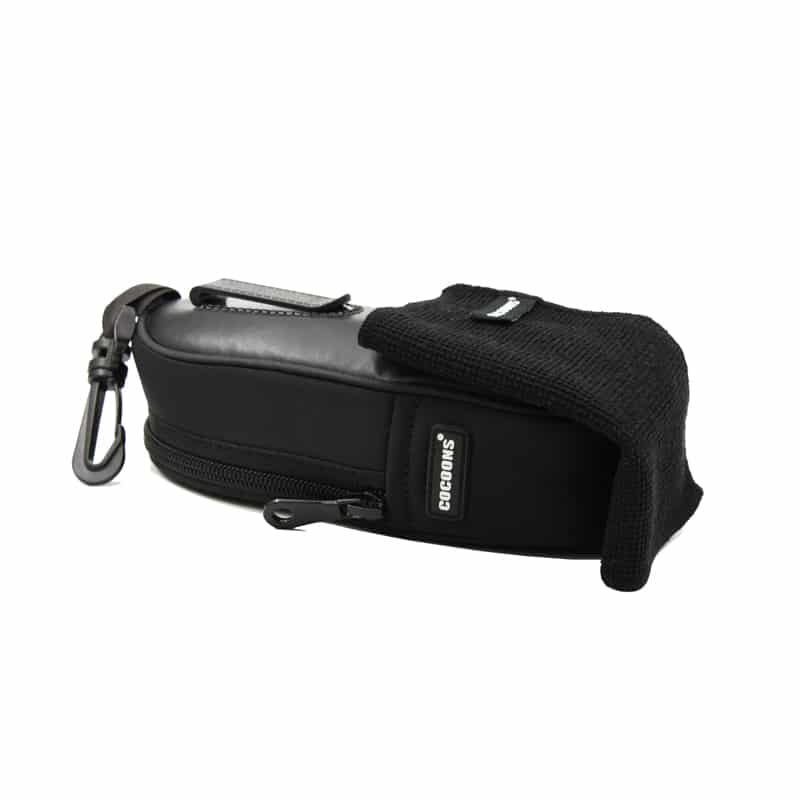 The case features a belt clip on the reverse side, allowing for rapid attachment and removal. A top mounted nylon lanyard, featuring a 360° swiveling nylon hook-clip provides an additional attachment method. The case is sealed with a corrosion-proof, premium quality coil zipper that will never jam. The buoyancy of the case is such that if you were drop it in the water, with your Cocoons fitover sunglasses and even your car keys in it, it will float! Also included, the ultra-soft DuraCloth is designed to effectively remove moisture, finger prints, facial oils and other contaminants that can cloud the lens surface and reduce visual acuity. We provide you with an informative Use & Care Guider and a Lifetime Warranty. Lightwaves reflected from horizontal surfaces produce harsh, penetrating glare that can greatly distort and hinder visual acuity. Polarized lenses act as a chemical “venetian blind” that eliminates blinding glare by neutralizing the reflected light before it reaches the eyes. The Polaré lens system delivers maximum polarization efficiency to enhance visual performance while allowing the eyes to remain relaxed and focused. Sporadic weather conditions (clear to moderate cloud cover) call for lens tints that effectively decrease light intensity while enhancing contrast and depth perception. Long sunny days with intense light levels and blinding, reflected surface glare require darker tints and mirrored lens finishes to provide maximum eye comfort and visual performance. As daylight hours and sunlight intensity begin to decline from summer, contrast-enhancing lenses that feature moderate tints will maximize visual performance and comfort. Low, flat light (overcast conditions) require high light transmission tints that “brighten” your view while increasing contrast. Activities with intense surface glare call for dark tints with mirror finishes.